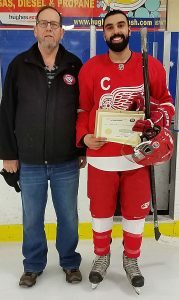 The Friends of Alberta Junior Hockey Society are proud to announce that four members of the Cochrane Chaos hockey club have been awarded Scholarship. 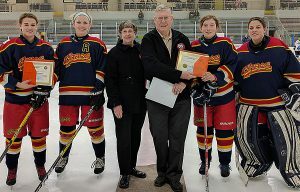 Four members of the Cochrane Chaos are presented with scholarships from the Friends of AJH. Pictured from left to right are Kiera Davidson, Aspen Kozak, Jean Green (Friends of AJH), Bob Green (Friends of AJH), Ryann Altwasser and Megan Parkyn. Congratulations to all of the recipients!!! Bill Roberts from the Friends of Alberta Junior Hockey Society presents Fort Saskatchewan Hawks player Tyson Davey with his Friends of AJH Scholarship. Bill Roberts from the Friends of Alberta Junior Hockey Society and Tyson Davey from the Fort Saskatchewan Hawks. Bill Roberts from the Friends of Alberta Junior Hockey Society and Fabio de Nardis of the Edmonton Beverly Warriors. 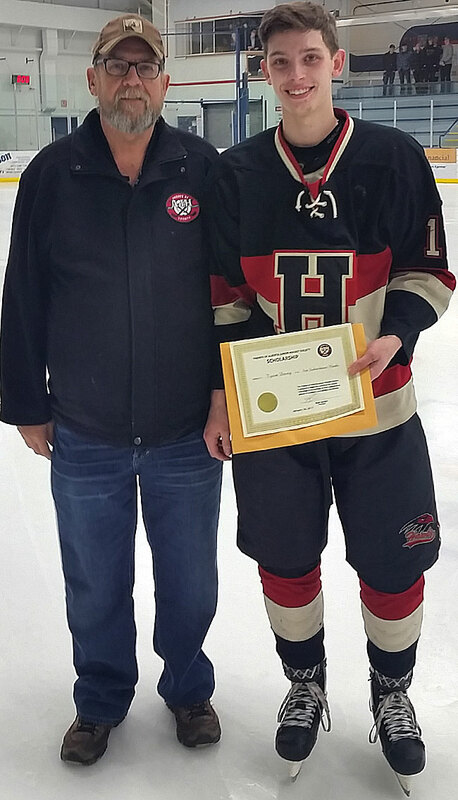 Bill Roberts from the Friends of Alberta Junior Hockey Society presents Fabio de Nardis with his Friends of AJH Scholarship. 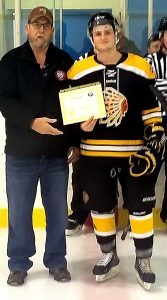 Mitchell Bodeaux of the Beaumont Chiefs is awarded a Friends of Alberta Junior Hockey Society Scholarship by Bill Roberts from the Friends of AJH. Bill Roberts from the Friends of AJH and Mitchell Bodeaux of the Beaumont Chiefs. 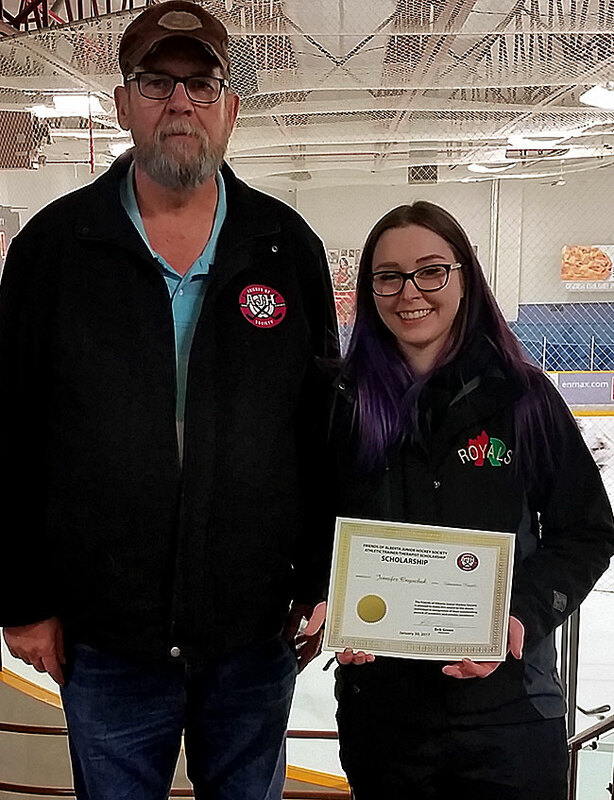 Bill Roberts from the Friends of Alberta Junior Hockey Society presents Jennifer Onyschuk with her Friends of AJH Scholarship for trainer/team therapist. Bill Roberts from the Friends of Alberta Junior Hockey and Jennifer Onyschuk from the Edmonton Royals. Bill Roberts from the Friends of Alberta Junior Hockey society presents Arjun Lotey of the North Edmonton Red Wings with a Friends of Alberta Junior Hockey Society scholarship. Bill Roberts from the Friends of Alberta Junior Hockey Society and Arjun Lotey of the North Edmonton Red Wings. 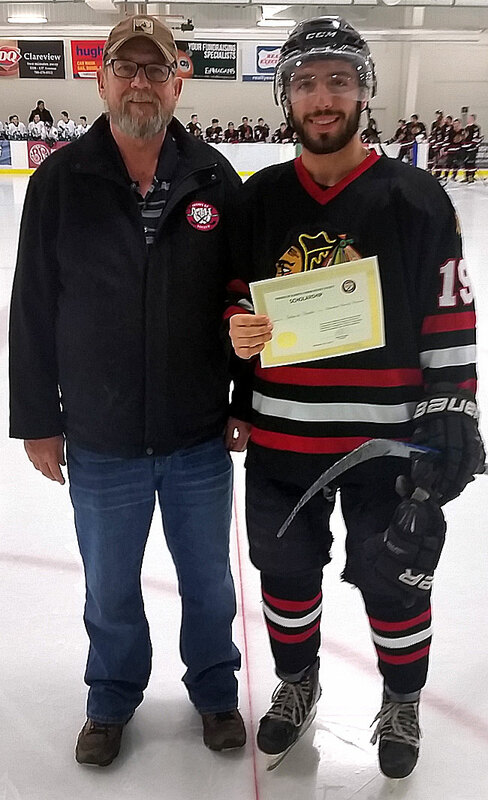 Tyler Weiss was awarded one of the Friends of Alberta Junior Hockey Society scholarships this year. Congratulations to Darrin Craig of the Edmonton NE North Stars!!! 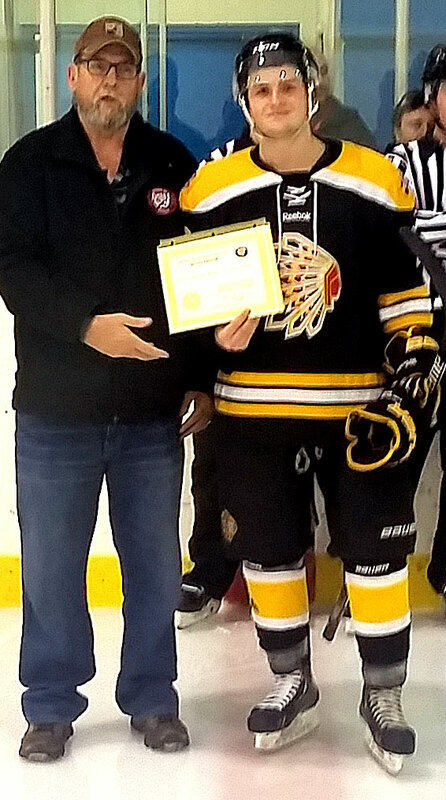 Darrin was awarded the Charles S. Noble Scholarship from the Friends of Alberta Junior Hockey Society.